Area : 44.76 sq. km. Temperature : Max. 42°C in Summer.Min. 3°C in Winter. Clothing : Light Tropical in Summer.Light Woollen in Winter. Best Season : October to March. Down south from Delhi, Alwar, in a sense, is a gateway to Rajasthan. It is 150 km from Jaipur and 170 km from Delhi is nestled between a cluster of small hills of the Aravalli range. On the most prominent of these hills is a massive force that place of the rich history of the city. A part from its history, this city has a rich natural heritage with some artificial lakes and valleys thickly wooded. Some of the finest variety of the birds and animals are spotted here. Alwar has one of the finest wild life sanctuaries in Rajasthan – Sariska, which is an excellent tiger country. Air: Delhi 163 km is the nearest airport. Road: Regular bus services link Alwar with key destinations in and not far off Rajasthan and Delhi. 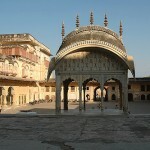 City palace (Vinay Vilas Mahal): An 18th century palace significantly convene the Rajput Mughal style of architecture. At present the ground floor of this palace have been converted. Into govt. office and district courts while the upper apartment is presently a museum. The Fort: This huge fort stretches 5 km from south to east and 1.6 km from east to west, stands 304 meters above the city and 595 meters above the sea level that was constructed before the rise of Mughal Empire. It is a forbidding structure with 15 large and 51 towers and 446 openings for musketry alarm with & huge towers in passing it. Government Museum: This museum has very finest collection of Mughal and Rajput paintings dating back to 18th to 19th centuries and some very rare ancient in Urdu, Arabic, Persian and Sanskrit. Company Garden: A picturesque garden, laid out during reign of maharaja Shiv Das Singh in 1868 A.D. the lush surroundings and cool shade make it very ideal visiting spot during the summer session. 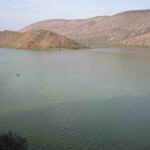 Jaisamand Lake: Jaisamand Lake is situated 6 km away from Alwar in Rajasthan. It was constructed by Majariga Joi Singh in 1910 A.D. is a very popular spot in outing and picnic. 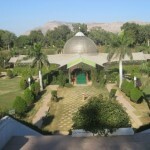 Vijai Mandir Palace: Vijai Mandir Palace is situated 10 km from Alwar in Rajasthan. A splendid palace, built by Maharaja Jai Singh in 1918 A.D. a picturesque lake overlooking the palace makes it a fascinating sight. 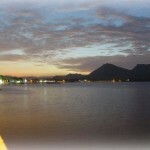 Siliserh Lake and palace Hotel: Siliserh Lake is situated 13 km from Alwar in Rajasthan. It is an ideal picnic spot with enchanting landscape of wooden hills and beautiful chhatris on the embankment of the placid lake. It’s magnificent royal palace and hunting lodge during the time of Maharaj Vinay sing now converted as a hotel. Lake palace offering boating and self-facilities. Sariska Tiger Reserve: Situated 37 km away from Alwar in Rajasthan. The 765 sq km thickly wooded reserve cradled in the picturesque valley of the Aravalis. 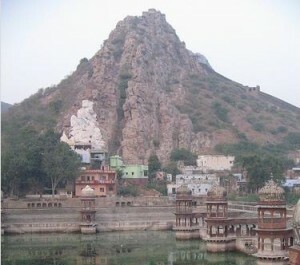 Bairath: Bairath is situated 64 km of Alwar. An important historical place with the excavated remains of a circular Buddhist temple, unique in Rajasthan and the earliest known temple in India. Bairath also has relics of the Mauryan, Mughal and Rajput periods. The Ashokan inscription, the monastery and the circular temple are the pointers towards Bairat’s antiquity. This entry was posted in Alwar, Rajasthan. Bookmark the permalink.